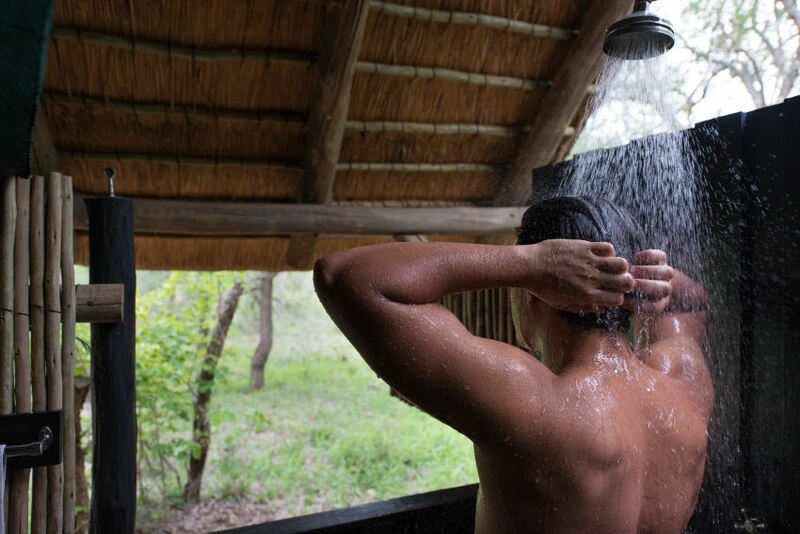 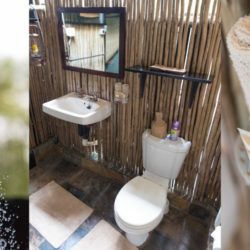 Accommodation at KwaMbili consists of thatched chalets or large Meru style safari tents. 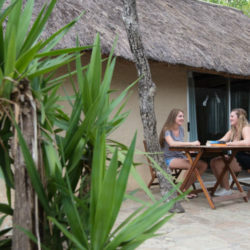 The chalets are positioned close to the main buildings. 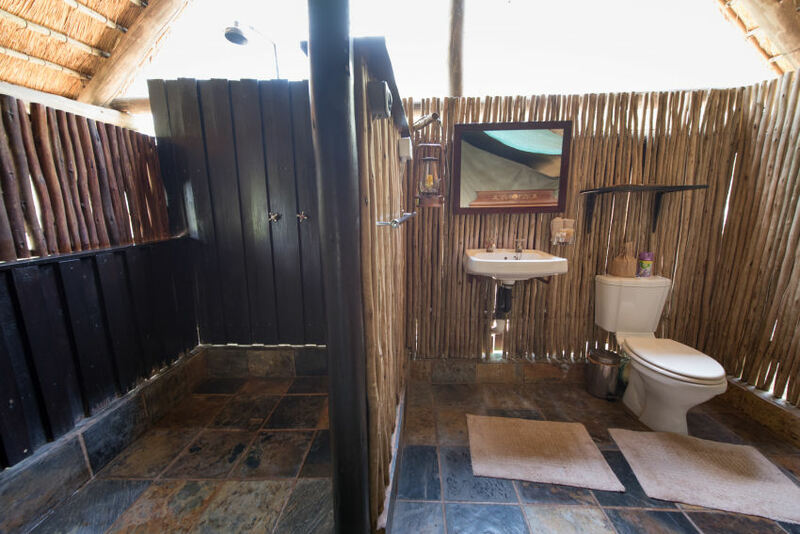 The two closest chalets can be used separately, but they have interleading doors making them ideal for families or couples travelling together. 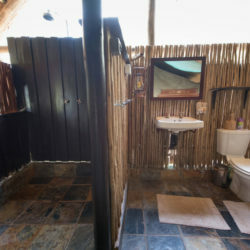 The third chalet is still close to the public areas and more private. 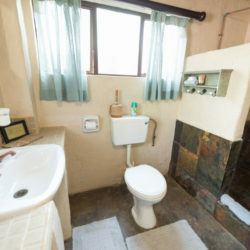 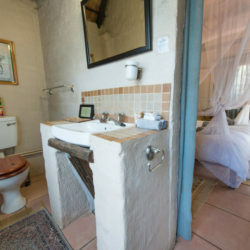 The chalets have air-conditioning, shower and toilet, mosquito nets over the bed and a small private patio with table and chairs. 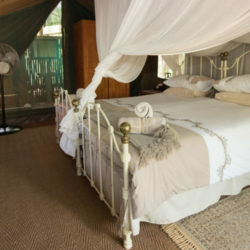 The large safari tents are further from the main building at the end of clearly marked paths. 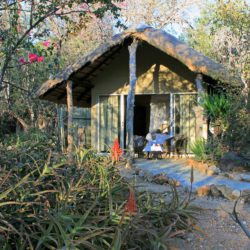 The tents are under a thatched roof, protecting them from falling leaves and making them cooler in summer. 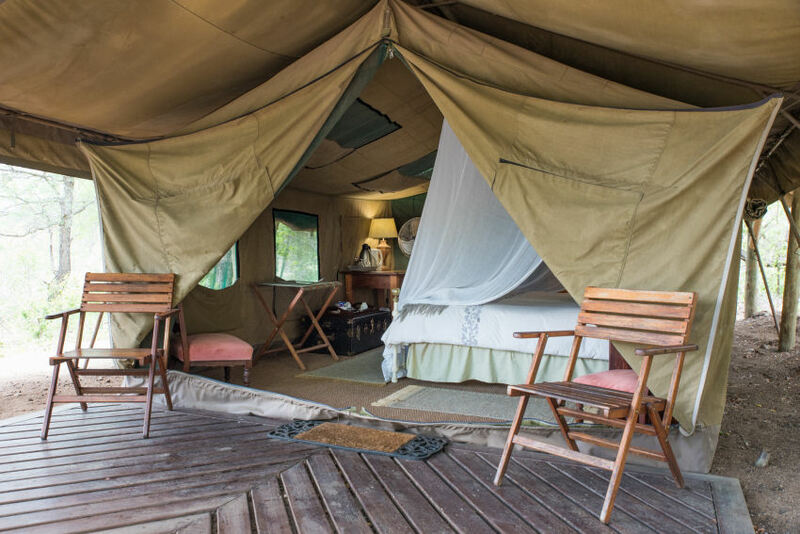 The roof extends over a small private patio with table and chairs. 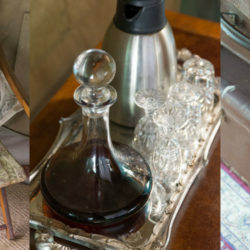 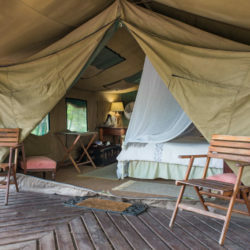 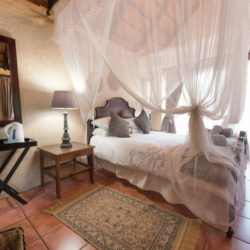 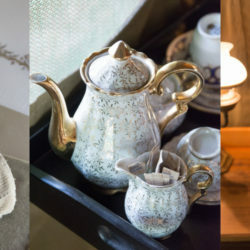 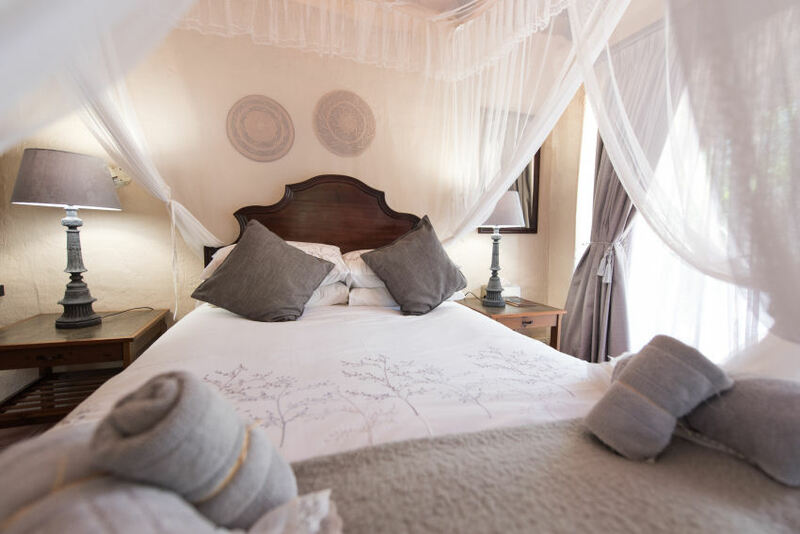 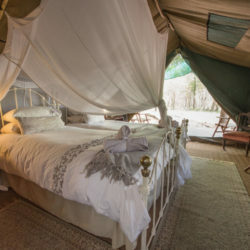 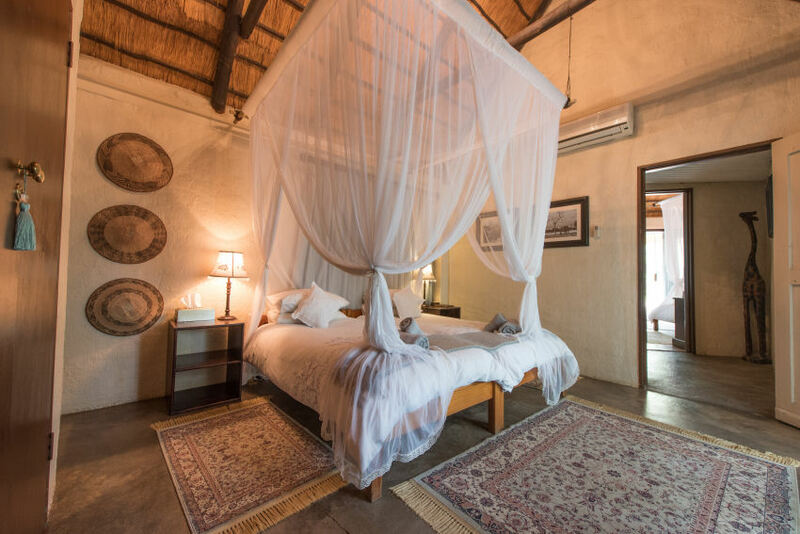 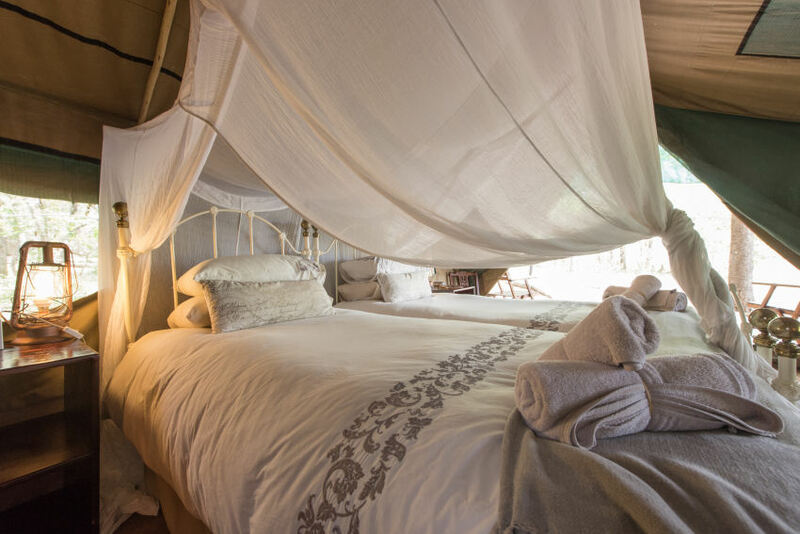 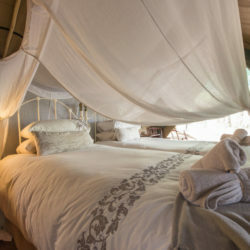 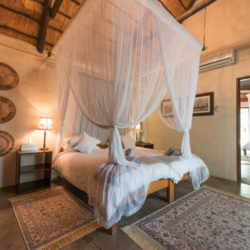 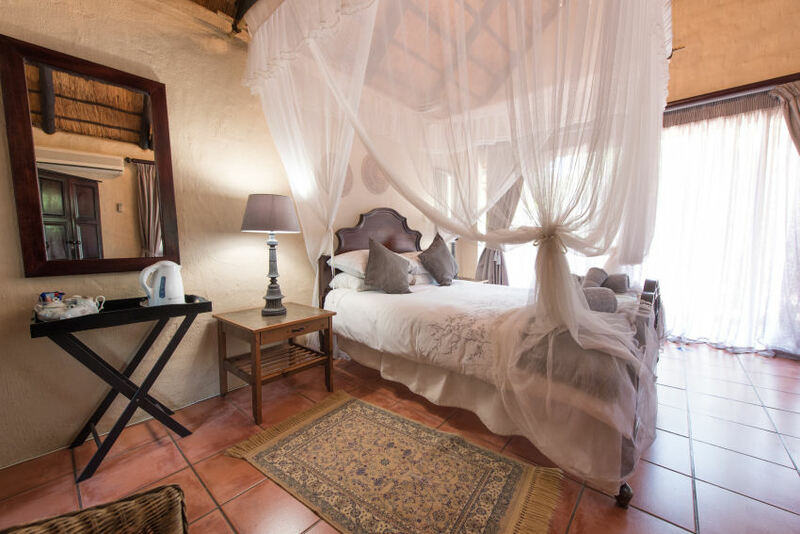 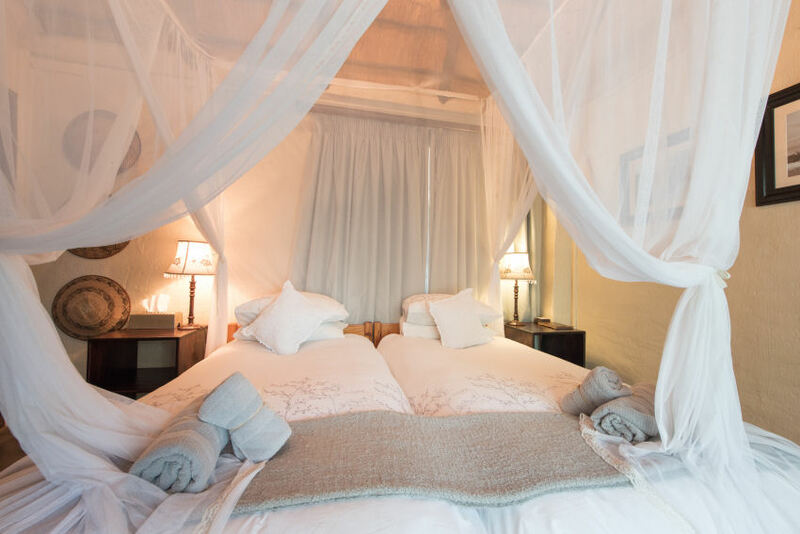 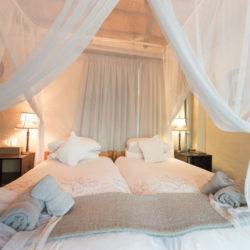 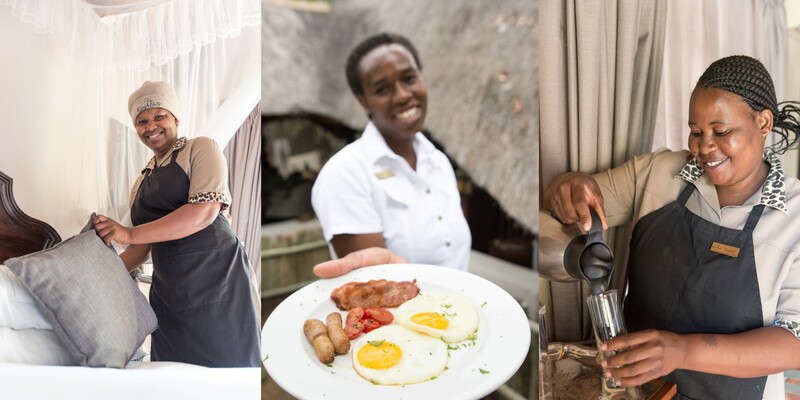 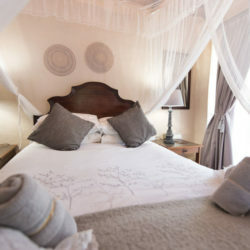 The tents are comfortably and romantically furnished with Out of Africa antiques. 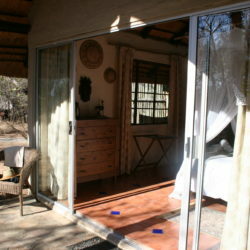 They have musquito windows with flaps which can be opened or closed according to the weather. 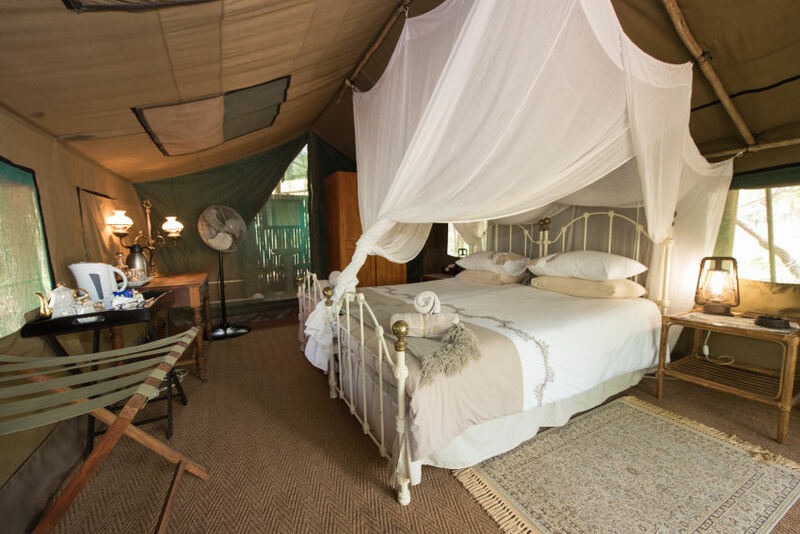 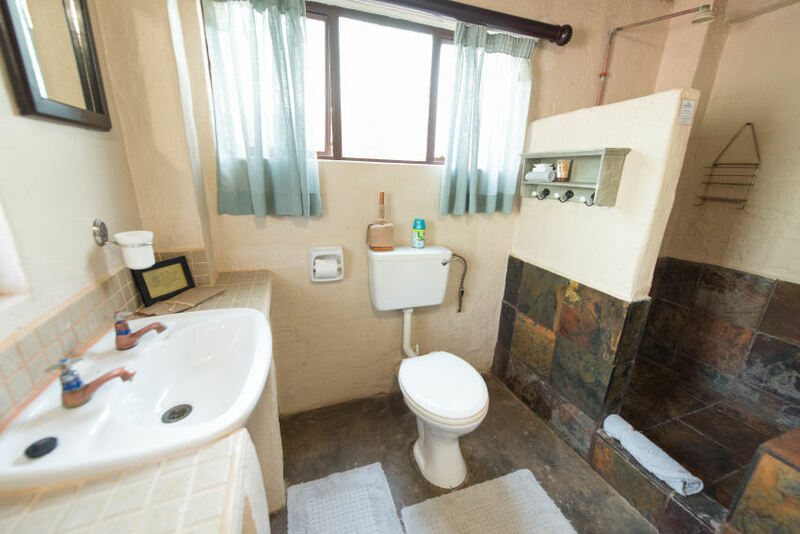 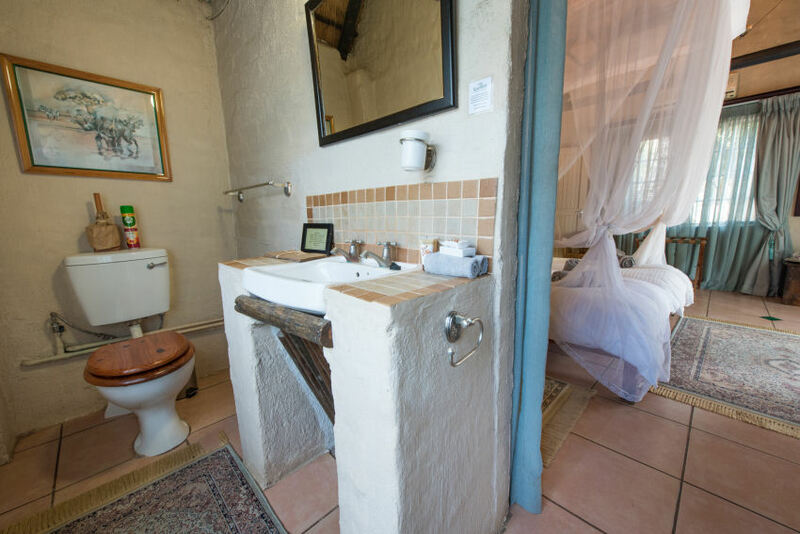 Each tent has its own open-air en-suite shower and flush toilet. 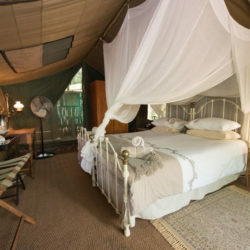 There is electricity in the tents and in the summer a fan is provided. 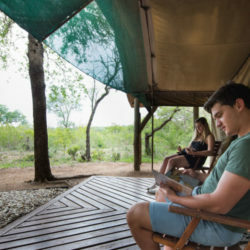 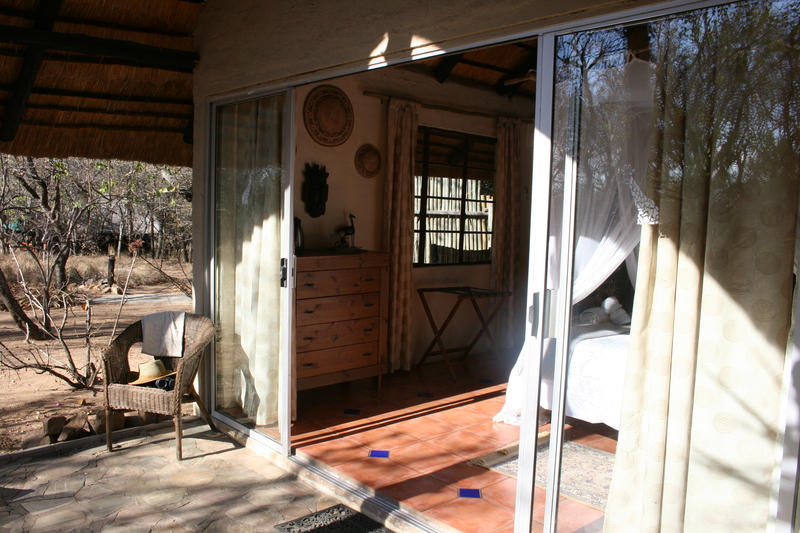 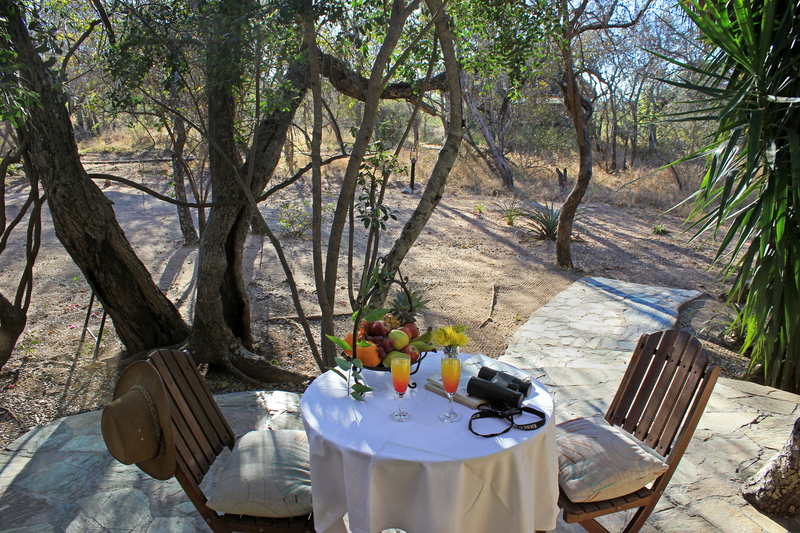 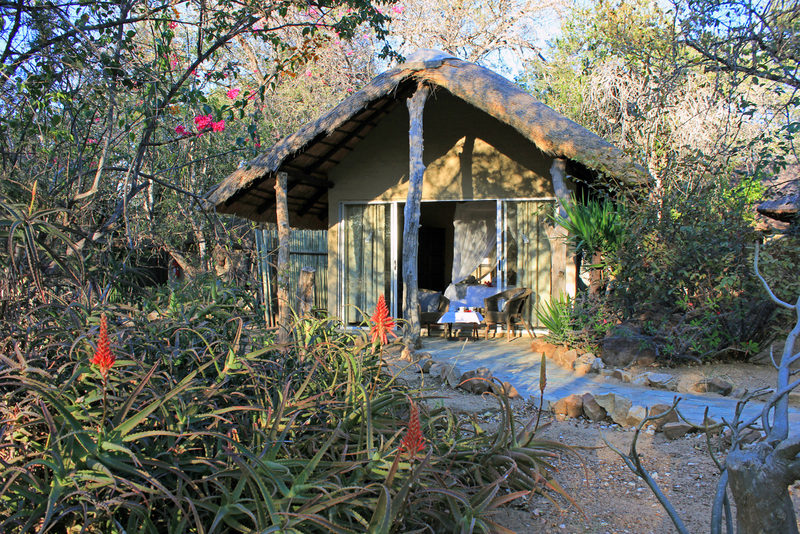 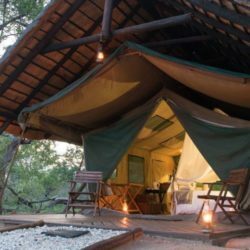 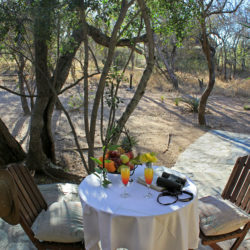 As the tents are on the outskirts of the camp you will have a full uninterrupted view of the bush from your patio. 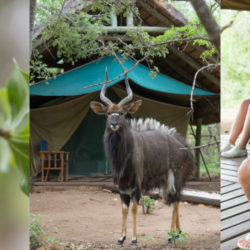 The camp is unfenced and animals roam freely, sometimes in the camp and around the tents. 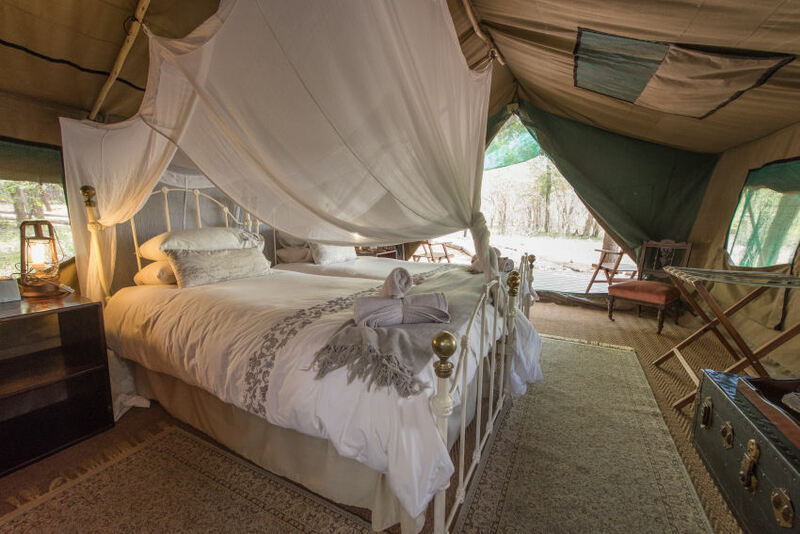 You will be safe inside the tents but after dark you will be accompanied to your tent.